I have mentioned it before how much we LOVE (yes with all capitals) pasta around here. 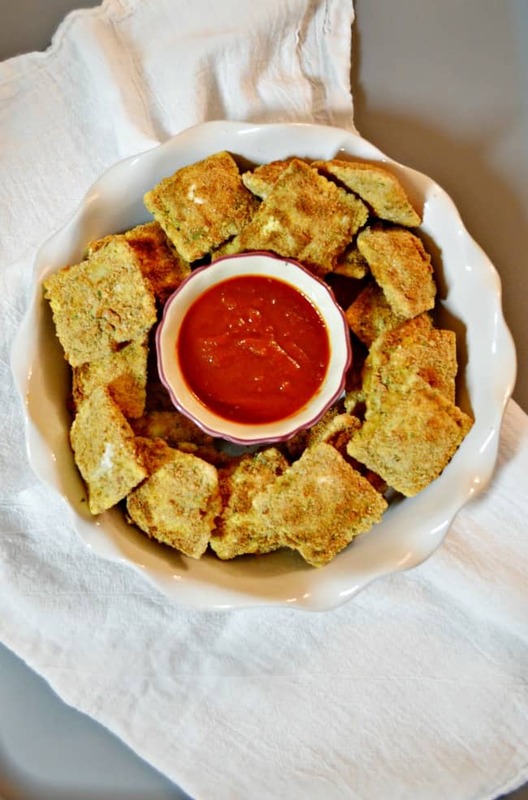 I am calling this dish an appetizer because it’s a dipper-style food that is great for parties. 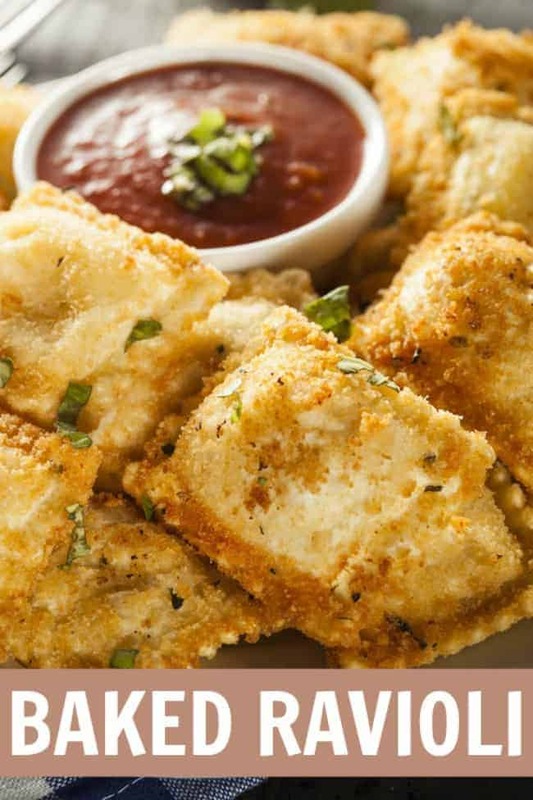 You will definitely want to add it on your holiday party menu. However, we have it for dinner often with usually a side salad. 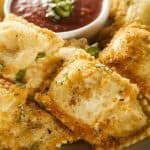 These baked ravioli appetizers have the perfect amount of seasoning and topped with your favorite pasta sauce makes them so yum. One of the best parts about this dish is that you probably have a lot of the ingredients already on hand. Sweet! 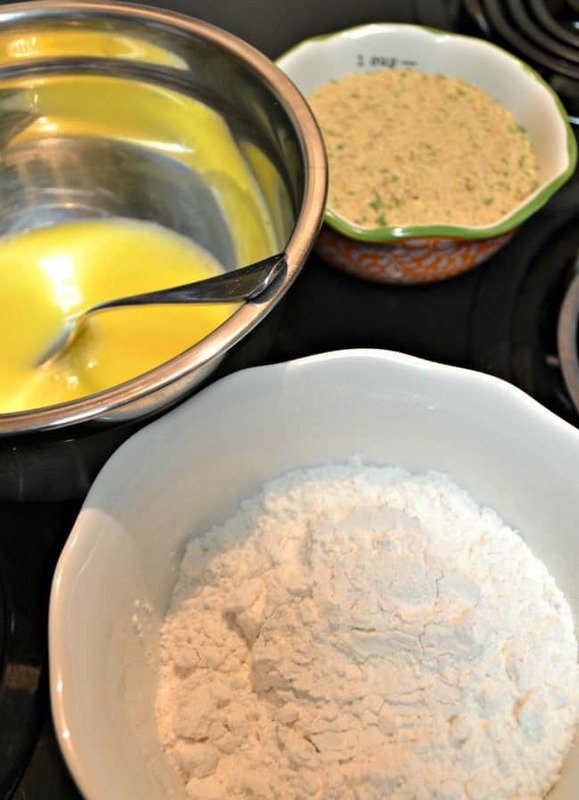 You can also substitute regular plain breadcrumbs if you already have those on hand. If you decide to do that I would also suggest mixing in some Garlic Salt (2 teaspoons) Oregano (1 teaspoons) and Basil (2 teaspoons). The good thing about the Italian style breadcrumbs is that it’s already mixed with these seasonings. Pour the pasta sauce into a saucepan and heat. Beat the water and eggs together. In a second bowl pour in the Italian breadcrumbs and set aside. 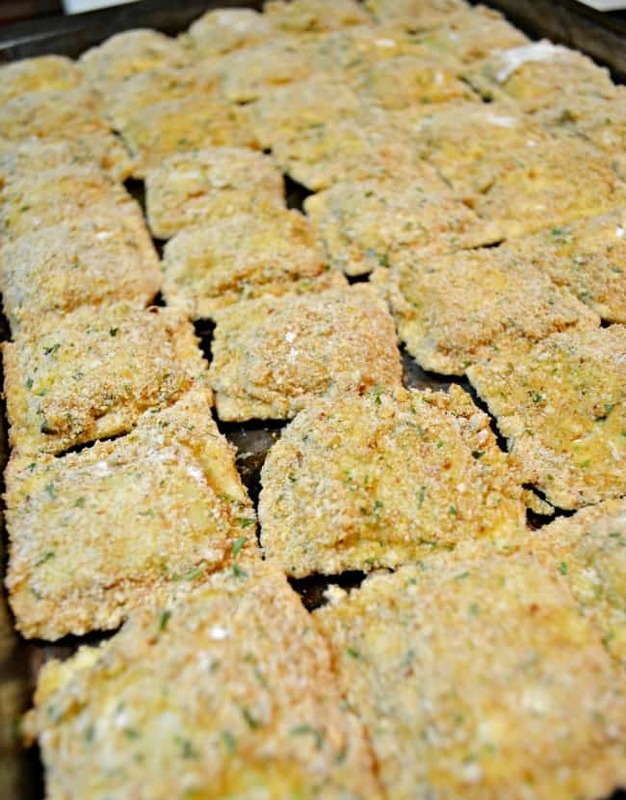 Place them on a cookie sheet and bake in the oven for 15 minutes. If you want a good brown and crispy texture broil them on low for approximately 5 minutes after baking them. NOTE: Broiling can burn food fast. Be sure to watch it carefully to make sure it doesn’t burn as ovens will vary. 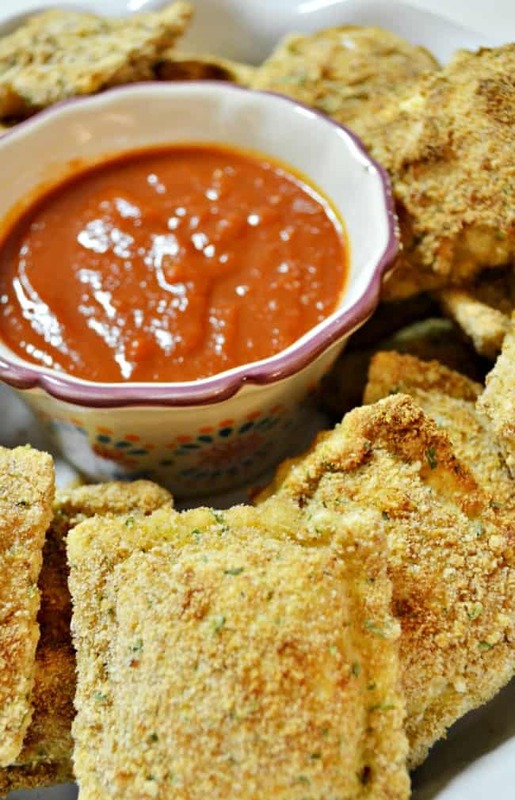 Serve with your favorite pasta sauce that you warmed up. Serve with your warmed pasta sauce.